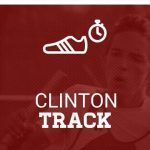 The CHS boys’ and girls’ track teams will compete at the Friday Night Lights Invitational tonight. This event will be held at Laurens District 55 High School, not at Hillcrest High School, as originally planned. The meet starts at 5:00. GO BIG RED!